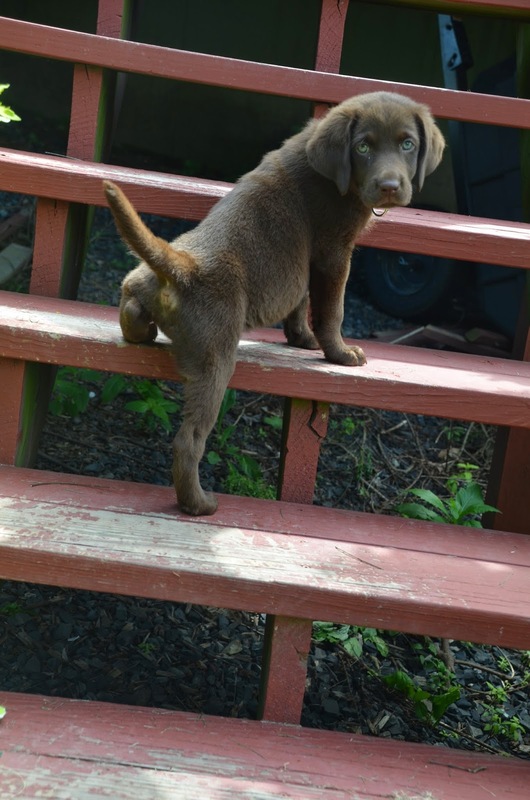 Maggie has learned to climb the steps. I got her a purple collar. Favorite toys this week is a tug of war rope and a stuffed bear.